Congregation Shirat Hayam will unveil Darkeinu (“our way”), a trailblazing post-b’nei mitzvah program modeled on a college education that gives Jewish teens credit toward Kabbalat Torah/Conformation for participating in a broad range of activities that they choose for themselves. 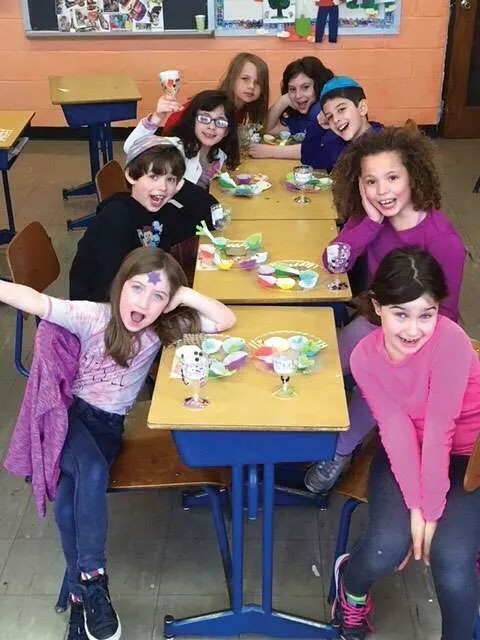 Students in grades 8 through 12 can earn credits towards their Darkeinu “degree” by participating in a variety of activities that encompass five basic areas of Jewish life: community services, ritual leadership, community leadership, study and Zionism. The program’s real groundbreaking innovation, according to Rabbi Michael Ragozin, is in offering credit for “life experience” already available throughout the North Shore and beyond. Teens can fulfill their course requirements by participating in any number of local programs, such as the Jewish Teen Initiative, the Sloane Fellowship, Lappin Foundation, BBYO, Cohen Camps and more. “By giving teens credit for participating in an array of teen programs already in place, Darkeinu isn’t competing with existing local opportunities. Rather, we are encouraging participation in the unique activities that are right for each teen. Darkeinu is participant-centric, not institution-centric,” Rabbi Ragozin noted. Perhaps most revolutionary is that Darkeinu is open to any teen that self-identifies as Jewish and has a whole-hearted interest in building their own authentic Jewish identity as they become an adult. The JEP study developed core questions for educators to imagine teens asking themselves, such as: Who am I? With whom do I connect? What is my responsibility in the world as a Jewish adult? How do I bring about the change I want to see? “Creating programs and experiences that help teens to ask and look for answers to those questions is our goal,” Knight said. Darkeinu launches at a brunch on Sunday, October 14. For more information or to register, go to bit.ly/RegisterDarkeinu or contact Janis Knight, CJE Director at CJE@ShiratHayam.org or 781-599-8005 x25. Most importantly, after describing the brewing process and explaining in detail the differences in tastes among six beers, they circulated throughout the library’s reading room, pouring sample of the beers. Patrons cleared their pallets with pretzels, chips and cheese and crackers. Nunnari, who says his wife, Kim, “kind of volunteered him” to sponsor the beer tasting (Kim is a volunteer at the Swampscott Library), hopes people learn a little about the complexities and subtleties of beer. “There’s more to this than just opening a can,” he said with a laugh. The library’s philanthropic arm, The Friends of Swampscott, captured the proceeds from the $20-per-ticket admission to the beer tasting event. The nonprofit provides volunteer help, conducts the annual book sale, sponsors programs for adults, purchases all museum passes, funds the library newsletter and underwrites many Young Adult and Children’s Room activities. The tasting offered four different and distinctive genres of beer: an original German lager beer (Weihenstephaner Original); two malts (Murphy’s Stout and Mayflower Porter); two India Pale Ales (Bent Water’s Sluice Juice and Thunderfunk), and two Sour or Acid beers (Bent Water’s Cosmic Charlie and Destihl Wild Sour). The history and intricacy of each beer was detailed before patrons had their first sip. IPAs, for example, were developed from pale ales in England to be shipped to India, where the hot climate demanded a lighter beer than typical English stouts. Hops were added so the brew would survive the journey. Golab pointed out that hop flavors can be personal to the taster, with women, “for some unknown reason,” more prone to taste garlic. The hoppier the beer, the less bitter it tastes. Some describe IPAs as hazy, chewy or mouthy, he added. Nunnari also explained the importance of the “three-sip rule” when tasting beer. “Never trust that first sip. Always sniff the beer first and drink it from a glass, not out of the bottle,” he advised. Golab attributes Bent Water’s superior flavor to Lynn’s water, the “best water in the area” since it comes from the Lynn watershed instead of central Mass. The different profile minerality-wise gives Bent Water’s beer a different quality. “After all, beer is 98 percent water,” he pointed out. Like Nunnari, his interest in beer brewing started with the gift of a home-brewing kit from his parents. He has been brewing beer professionally for four years and the activity reminds him of family life as a child. “I grew up in a house that cooked together a lot. Combining ingredients that create flavors that are unique and fun and work together well is a creative process,” he said. He hopes after the tasting people realize there are more styles of beer than their usual go-to brand. “There are so many different kinds of beer. There is something out there for everyone,” he said. Sitting at café-style round tables of six, patrons chatted between sips, getting to know each other and the different brews. Anthony Cerra, a Swampscott resident whose father was a soda bottler and beer distributor from Pennsylvania, likes to support the Friends of the Library and likes to taste different kinds of beer. He used to brew beer before he had children. “I guess it’s in my blood,” he said. At a nearby table, Andrea Mercurio marveled that this was the first time she had been in the library. “I love it. I want to wander around. I think I spend too much time at work. 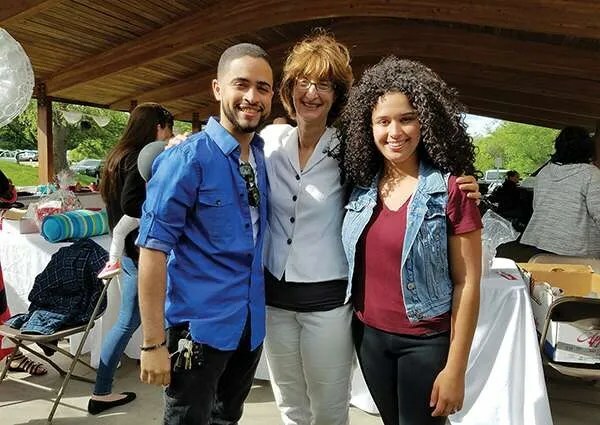 I definitely need to hang out here more,” said Mercurio a newcomer to Swampscott, she found out about the event on a Facebook page and thought it would be an excellent way to get out and meet people in the community. Four years ago, the Swampscott Library hosted a beer tasting, and the library’s executive director, Alyce Deveau, thought it was time to do it again. Reference and Teen Librarian Janina Majeran, who helped serve cheese and crackers between beer “courses,” thought the evening was fantastic. To the casual observer, last Wednesday looked like just another noontime at the Swampscott Senior. The lunch tables were set, the bingo spinning wheel was in place, and the alluring aroma of pizza wafted from the kitchen. But at 12 o’clock sharp, the Senior Center van pulled up to the front door with a surprise. When its doors opened, out poured a throng of excited and agile Hadley fourth grade students, ready to meet their senior pen pals for the first time. Since last October, Julie O’Brien’s class has corresponded with volunteer seniors from Swampscott the old fashioned way: by writing letters. “This experience was wonderful. I wish the seniors had a chance to see the look on the kids’ faces when they opened their letters. It was amazing to see the joy as they discovered new things about their new friends,” O’Brien said. The intergenerational program was started 6 years ago by Marilyn Cassidy as a way to connect seniors and young children. Gina Bush, whose son William is in O’Brien’s class, chaired the program this year. The exercise is not just for fun, however; there is also a pedagogic and life skills component. The students learned to write a formal letter, how to address an envelope and how to share personal information with someone they had never met. When the class received mail from the senior center, all the students would open their letters and read them at their desks. Then they would all meet “on the rug” to share something new they had learned about their new friend, O’Brien said. For Hyde, who has been part of the program since its first year and has kept in contact with several of his former pen pals, it’s not just about getting to know a fourth grader. “It’s an opportunity to learn about their parents, their brothers, sisters. It’s almost like I have another family,” he said. First time pen pal Rick Pierro, who retired from his advertising agency, Designer’s Eye, has always wanted to be a big brother, but hasn’t gotten around to it yet. Although he has lots of nieces and nephews, he has no children and loved having a pen this year. “My only complaint is it takes too long between letters,” he said with a chuckle. His pen pal, Noah Murphy, really liked learning about Pierro through their correspondence. What amazed him the most? “I was surprised he wants to be a champion chef and enter in the Julia Child competition,” Murphy said as Pierro grinned. After lunch, seniors and fourth graders teamed up to play four rounds of bingo, bonding even more in lessons of frustration, good sportsmanship and gracious winning. Norma Freedman, who chaired the program last year, was happy to just relax this year. She enjoyed her Italian ice with her pen pal, Talia Pagliaro, who was surprised to learn Freedman’s children attended Hadley and said she couldn’t have asked for a better pen pal. “Whenever she talked about something, she put a lot of thought into it,” Pagliaro said with a big smile. Above: LEAP for education cofounder and executive director Linda Saris (center) with brother and sister Josward Santana of Peabody (at left) and Idekelly Santana King of Lynn. Josward is a sophomore at Middlesex Community College and works full time at Citizens Bank. Idekelly graduated from Northeastern University in 2017 with a degree in mechanical engineering. JANUARY 25, 2018 – SALEM – Linda Saris’ stellar resumé reads like every parent’s dream. A degree in economics and urban studies from the University of Pennsylvania and an MBA from the University of Chicago led to a career that culminated in the senior vice presidency of RSA Security, a fast-growing tech company with 1,300 employees and $320 million in worldwide sales. Her leadership and entrepreneurial skills reaped increasing responsibility and commensurate compensation. Her “wake up call to do something different” came in 2001, when the tech bubble burst after 9/11. Saris took advantage of a generous severance package and left the private sector to start a nonprofit with a mission to teach tech skills to young people and their parents. 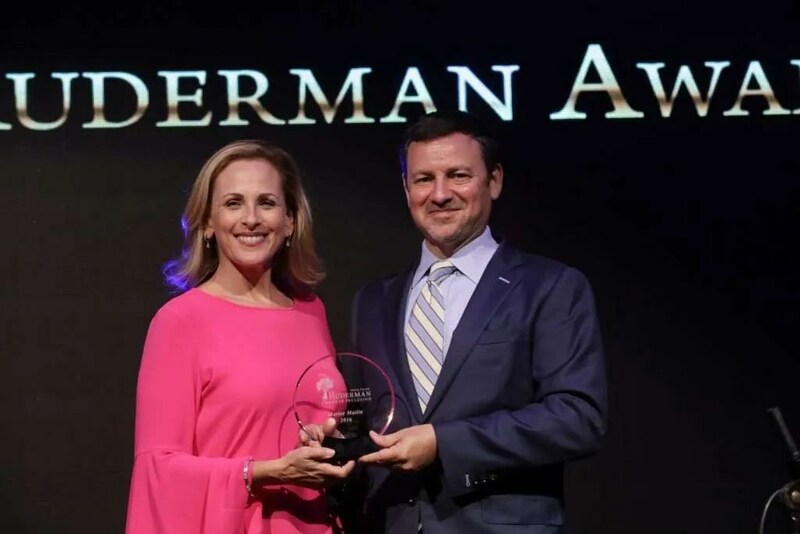 “It was my time to give back and honor my family and cultural tradition of tzedakah,” she said. Named Salem CyberSpace, the startup began as part of a larger nonprofit called North Shore Community Action Programs and served seven Salem students in 2003. Today, after going solo in 2004, it is known as LEAP for Education, and a $1 million budget allows it to reach over 800 students per year, primarily in Peabody and Salem. With its mission to help low-income and first generation American students succeed in middle school, high school, and college, LEAP also educates parents on the college process and financing. It now has a staff of 17 and over 100 volunteers. Saris is understandably proud of LEAP’s 100 percent high school graduation rate and 85 percent college access and retention rates. While LEAP continues to focus on teaching tech skills and emphasizes STEM – a curriculum based on science, technology, engineering, and math – it has adapted to changing demographics by also providing arts programs and English literacy for the growing immigrant population for whom English is a second language. According to Saris, organizations like LEAP are especially important during this current administration. “LEAP helps to support, educate, affirm, and make feel welcome young people [and their families] from a variety of countries,” she said. When new and longtime citizens meet and build connections across ethnic and cultural lines, Saris thinks the resulting familiarity and understanding creates respect, tolerance, admiration, and affection among a diverse citizenry. “Those qualities are the antidote to prejudice, ignorance, and scapegoating,” she said. Saris was raised in West Roxbury and attended Congregation Mishkan Tefila in Newton (now in Brookline), where she became a bat mitzvah in 1965 and attended Hebrew school through 11th grade. While her home life was “not overly religious,” her parents and temple educators stressed the importance of charity and community engagement. As a high school student, she volunteered at ABCD in Dorchester, tutoring young children. “I talked incessantly about the inequities I saw in our community and my parents pushed me to put action behind my words,” she said. Her sister Patti Saris, older by 11 months, serves as chief judge of the federal court in Boston, and it is evident the sisters share views on immigration that are at odds with the current administration. Last September, Judge Saris issued a temporary order stopping the Trump administration’s deportation of Indonesians without due process. At a hearing last week, The Boston Globe reported she compared the Indonesian Christians facing possible torture or death in their Muslim-majority homeland to Jewish refugees trying to escape the Nazis on the St. Louis, a boat that left Germany with 937 passengers, mostly Jews, that was turned away by the US government in 1939. Many were later killed in the Holocaust. “We’re not going to be that country,” Judge Saris said in court, according to the Globe. By his own admission, Dan Monroe is “afflicted with intense curiosity.” The Peabody Essex Museum executive director and CEO relaxes by intensely investigating fields unrelated to art and appreciation, such as quantum physics. A few years ago, neuroscience caught his attention. After reading roughly 150 books and publications, it became clear to him that neuroscience has a direct role to play at PEM. “What we essentially do is to create experiences of art and culture. We call them exhibitions and programs, but we are really creating experiences,” he said. Since research shows that all experiences are created in our brains, he reasoned, if PEM wanted to remain at the forefront of designing meaningful, relevant and impactful art experiences, it would be a good idea to better understand how brains work. Essentially, he thought that by getting inside visitors’ heads and figuring out how they felt, how they saw, what caught their attention and what they remembered, PEM could enrich their visits. Plus, it would make the museum a more fun experience. His team began experimenting with this new approach, adding innovative multi-sensorial elements to select exhibits. Professional dancers greeted visitors in the “Rodin: Transforming Sculpture” galleries, their movements and poses reflecting those of the sculptural works. “Asia in Amsterdam” showcased fragrant spices, a soundtrack conveying 17-th century Dutch life, storytelling and striking graphics. “The dancers created a new kind of attention and a new avenue for people to appreciate and see sculpture,” he said, noting that the traditional way museums transmit information — through written labels — is not working. “If people read them at all, they spend an average of 2.5 seconds, even at the oversized introductory panels,” he said. He wanted a more transformative experience for the PEM guest and, based on visitor surveys, so did the public. After the success of the Rodin and Asia shows, Monroe and his team decided to expand their reach. They applied for and received a $130,000 grant from the Barr Foundation, a Boston-based philanthropic organization, to launch the neuroscience initiative and delve deeper into using neuroscience research to enhance the way PEM designs exhibits. The initiative enabled PEM to hire Dr. Tedi Asher, a neuroscientist who earned her Ph.D. from Harvard Medical School’s Biological and Biomedical Sciences program 2016, and joined PEM as its full-time Neuroscience Researcher in April. “To our knowledge, this is the first art museum in the world to hire a neuroscientist and put them on staff,” Monroe said. Asher is thrilled with her first job outside the academic arena. “Where else but at art museums can one witness such breadth and depth of emotional experience?” she asked. She was looking for a position that would allow her to creatively communicate neuroscience to non-scientists in a non-traditional teaching environment that would reach beyond academia and benefit the public at large. “I came across PEM’s job ad and it seemed to fit that bill,” she said. Asher’s primary academic focus has been studying emotion, starting as an undergraduate at Swarthmore College, where she studied learning and memory in the common fruit fly. Her doctoral work in neuroscience investigated aggressive behavior in mice. At PEM, she will step out of the laboratory and explore how PEM can enhance and enrich the visitor experience by designing exhibits that will evoke human emotions, thereby leaving lasting impressions. “Teri has a keen interest in using neuroscience to make the world a better place. She’s learning a great deal about art and culture and how museums work at the same time she’s teaching us about neuroscience and how brains work,” Monroe said. Asher’s tasks are threefold. She will investigate how human brains are wired to appreciate art and how that information can be used to design exhibits that resonate on a personal level. She will then work with PEM staff, teaching them basic concepts that are relevant to their work as exhibition and program designers, such as how visual and attention systems work and how they relate to emotion. Finally, she will also pen a small publication to explain the concept behind the neuroscience initiative and its applicability to museums. It will be then be up to PEM exhibit designers and staff to translate and incorporate that information into the museum’s installations. The timing of Asher’s hire couldn’t be more perfect. PEM continues to undergo a comprehensive renovation and expansion project, featuring a 40,000 square-foot new wing of galleries, which will open in 2019. At the same time, Monroe explained, PEM is also in the process of refreshing its permanent collections, creating new installations of virtually all of them. “The entire experience at PEM will be new, based on ideas we’re deriving from neuroscience and other fields,” he said. Asher will assist in this overhaul too. Since 2003, PEM has used The Morey Group to measure overall visitor satisfaction through a standardized survey tool used within the museum industry. Among the 80 museums tracked by Morey, PEM is head and shoulders above the rest, ranking number one every year since 2003. Monroe credits the neuroscience initiative with motivating PEM to shift gears away from written text and towards better and more storytelling. “Stories are the glue that holds us together as social animals. Good stories elicit emotion and emotion is really critical,” he said. Stanley Elementary School fourth grader Drew Hause couldn’t wait to go to school last Wednesday, June 7. Since October, he and 21 other students in Mrs. Sami Lawler’s class have corresponded with pen pals from the Swampscott Senior Center and today was the day they would finally meet them face-to-face. The seniors were just as excited. For many who live far away from their own grandchildren, gaining a peek through the keyhole of a nine-year-old’s life over the course of the school year was a welcome treat during the long slog of the New England winter. Meeting them in person would be icing on the cake. The intergenerational program was started years ago by Marilyn Cassidy as a way to connect seniors and young school children. For the first few years it was at Hadley Elementary School, then Clarke Elementary School, and this year its home base was Stanley. Pen pals Drew Hause and Shelley Sackett get ready to try their luck at bingo. Mrs. Ami Lawler (second from left) and fourth grade class mom chaperones at the Swampscott Senior Center pen pal lunch. Norma Freedman, of Swampscott, chaired this year’s Senior Center pen pal program. She has had a pen pal for many years, and even wrote to one girl throughout the summer while she was away at camp. “It’s a lot of fun and it’s good for the kids. They know there’s someone in the world besides their immediate family that cares for them,” she said. The students arrived at the Senior Center by van (courtesy of the Senior Center) clutching handmade decorated envelopes, presents and lunch. Their senior pen pals were already there, and squeals of delight filled the lunchroom as hugs, presents and — of course — letters were exchanged. From left: Thomas Mello, Bill Foley and Caleb Jaeger-Kerr get to know each other over lunch. After lunch, seniors and fourth graders played four rounds of bingo, bonding even more over lessons in frustration and good sportsmanship. Freedman reminisced how her pen pal won one game last year and hugged and kissed her. “He was so happy. It was like I gave him the world,” she said with a smile. Holly Mello, Thomas’s mother and one of the class chaperones, touted the scholastic benefits of teaching kids to communicate the old fashioned way — through letters. “It’s a great way for the kids to have an applied experience to practice their writing during the school year. They have grandparents, but they see and talk to them often on the phone,” she said. Even though he didn’t win at bingo, Drew Hause had a big smile on his face as he hugged his pen pal goodbye and enthusiastically invited her to continue the correspondence after school lets out for the summer.